Load balancers occupy an important position (in the path of application traffic) on the enterprise network. Yet, traditional application delivery controllers (ADCs) are unable to provide meaningful application insights to drive business decisions. 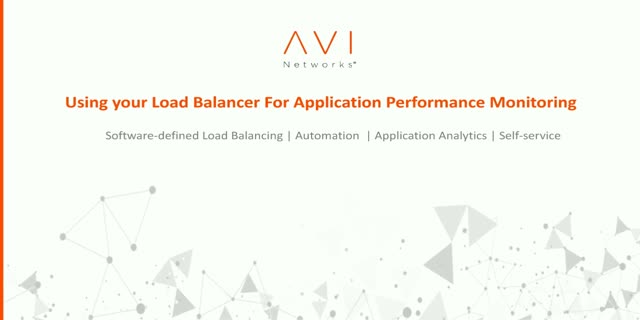 Avi Networks’ software-defined architecture for load balancing separates the control plane (management layer) from the data plane (load balancers) to generate continuous insights about applications.